Sigma Technology believe strongly in the region and, through this recruitment, our ability to extend our business area of product information even further. Anna has been working in the business for 15 years and has a profound experience of leadership. Anna is experienced in building up strong consulting teams, which become competitive on the market. 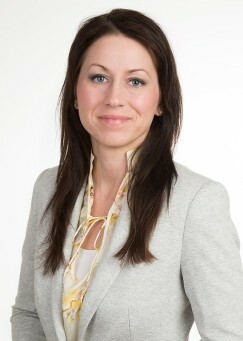 “Today we are having strong growth in all areas of Sweden and also in Skåne. In order to continue this development, we want to reinforce even more in leading positions,” says Johan Edlund, CEO of Sigma Technology Information AB. Johan continues: “Anna’s choice to join Sigma makes us unbelievably happy. Anna’s personality and knowledge will strengthen our company from the very first day.